Tiny Monster has a more refined look than some geraniums. Cranesbills, also called hardy geranium, are noted for their wild look. They can get very scraggly and leggy, after the first flush of bloom. 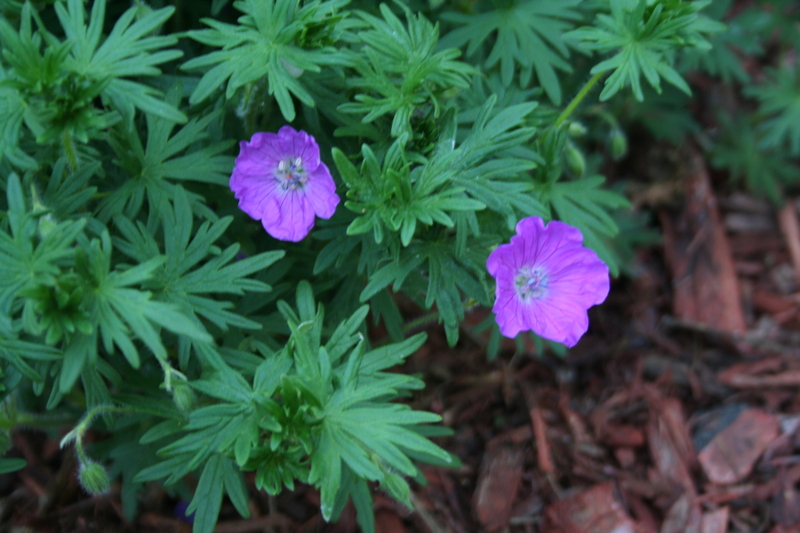 I usually cut back my ‘Johnson Blue’ cranesbill in early July to keep it contained and encourage more blooms. But I don’t think I will have to cut back the plant at left, a full, lush, very well-behaved cranesbill called Gernaium ‘Tiny Monster’. A newer cultivar out of Germany, ‘Tiny Monster’ stays about 12 to 18 inches high and spreads only about 24 inches. I love its mounded shape and prolific, deep pink blooms. In a garden that seems to grow more wild with every rainfall (enough already! ), I really appreciate a well-behaved plant. It’s blooms are nice looking, too. I had to rip out most of my cranesbill. I don’t know the variety. It was more tighly laced than I wished, but the problem was an infestation of grass! Weeding became impossible. right now that space is mostly filled with cosmos. Yeah, they spread, but they can be ripped up in an instant. They are a tough plant, ideal for a shady boulevard spot. Drought tolerant, too. They do a good job crowding out the weeds. When you say you cut them back, do you cut back all the way to the ground? My cranesbill is looking pretty tough! Billie Jo — I cut them to about 6 inches tall. They have no problem growing back! Peter — Those are gorgeous plants! 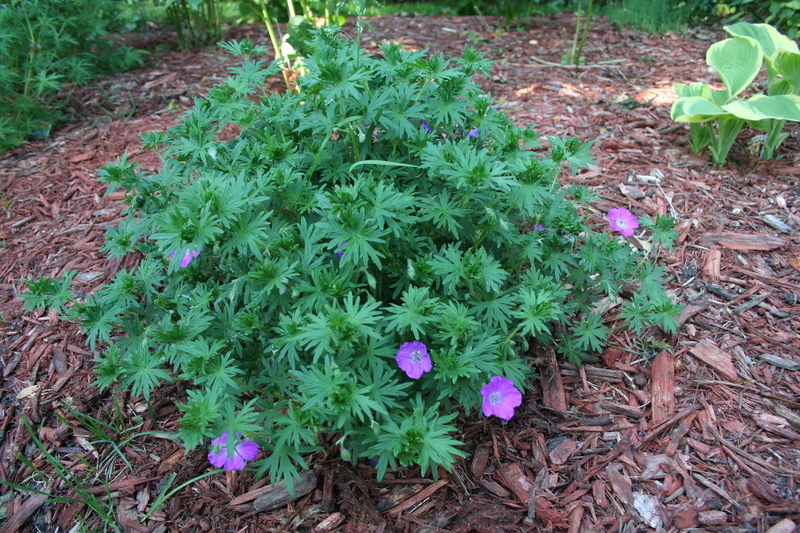 I’ll have to look into this cranesbill, it seems to fit the bill for garden behavior. I’m always pulling my other geraniums out, too, they just get too exuberant for their space. I have a nameless cranesbill. I finally had to dig up and throw away more than half a big clump because it got so infested with grass. What is left is very neat and moundy.